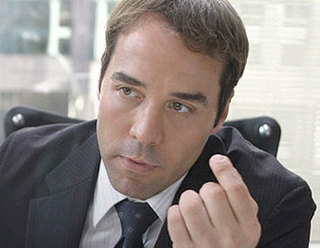 Another joy of summer is HBO's Entourage starring Jeremy Piven as Ari, the agent. In last week's episode he told an executive's assistant: "I want you to pass this message along to Dana. Tell her that I still have the pictures from Cancun. Tell her that I'm going to start a Web site. I'm going to take a full-page ad out in The L.A. Times advertising it. Tell her it will be called I'mahollywoodexecutivewhore.com and that no password or fee will be required. Tell her I want a call back." Sunday nights at 10pm on HBO.